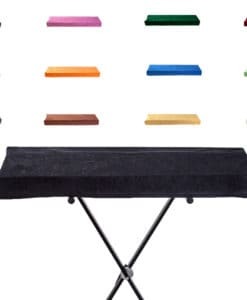 High-quality keyboard dust cover for MOOG Little Phatty Stage II. Available in Microfibre, Polyester or Synthetic Leather. 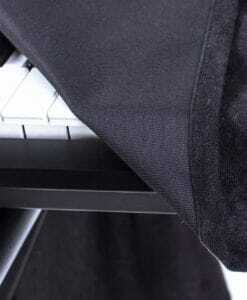 High-quality keyboard dust cover for MOOG Micromoog Model 2090. Available in Microfibre, Polyester or Synthetic Leather. High-quality keyboard dust cover for MOOG Minimoog . Available in Microfibre, Polyester or Synthetic Leather. High-quality keyboard dust cover for MOOG Minimoog D Closed. Available in Microfibre, Polyester or Synthetic Leather. High-quality keyboard dust cover for MOOG Minimoog D Open. Available in Microfibre, Polyester or Synthetic Leather. High-quality keyboard dust cover for MOOG Minimoog Voyager. Available in Microfibre, Polyester or Synthetic Leather. High-quality keyboard dust cover for MOOG Minimoog Voyager XL Closed. Available in Microfibre, Polyester or Synthetic Leather. High-quality keyboard dust cover for MOOG Minimoog Voyager XL Open. Available in Microfibre, Polyester or Synthetic Leather. High-quality keyboard dust cover for MOOG Minitaur . Available in Microfibre, Polyester or Synthetic Leather. High-quality keyboard dust cover for MOOG Mother 32. Available in Microfibre, Polyester or Synthetic Leather. High-quality keyboard dust cover for MOOG Old School. Available in Microfibre, Polyester or Synthetic Leather. High-quality keyboard dust cover for MOOG Rogue . Available in Microfibre, Polyester or Synthetic Leather. High-quality keyboard dust cover for MOOG Sub 37. Available in Microfibre, Polyester or Synthetic Leather. High-quality keyboard dust cover for MOOG Sub Phatty. Available in Microfibre, Polyester or Synthetic Leather. High-quality keyboard dust cover for MOOG Subsequent 37. Available in Microfibre, Polyester or Synthetic Leather. High-quality keyboard dust cover for MOOG The Source . Available in Microfibre, Polyester or Synthetic Leather.